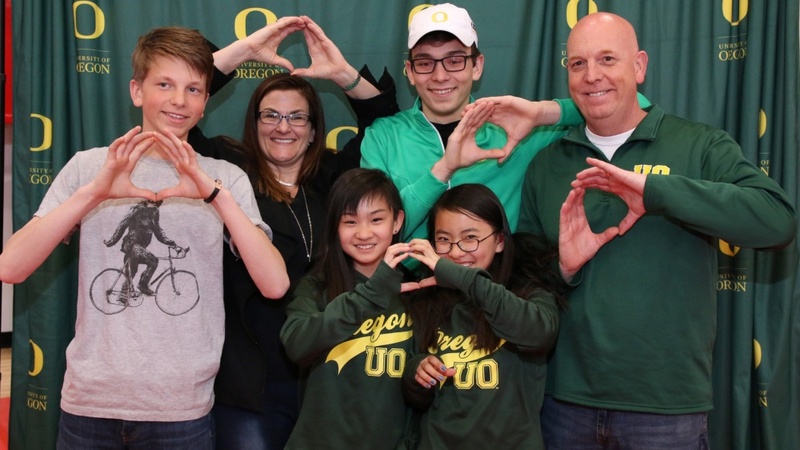 Five of the best and brightest from Oregon’s high school Class of 2017 recently committed to the UO after being named recipients of the prestigious Stamps Scholarship, the most generous aid package offered at the university. High school seniors Noa Cohen of Portland and Aysa Klocke of Beaverton will join Zarina Rogers of Bend, Hayden Dentinger of Klamath Falls and Nisha Sridhar of Corvallis as the UO’s newest Stamps Scholars. They all intend to start classes this fall. Noa Cohen of Portland accepted the scholarship in a signing ceremony at Riverdale High School on April 12. She is the regional president of the Jewish Student Union and is active in the drama department and mock trial. 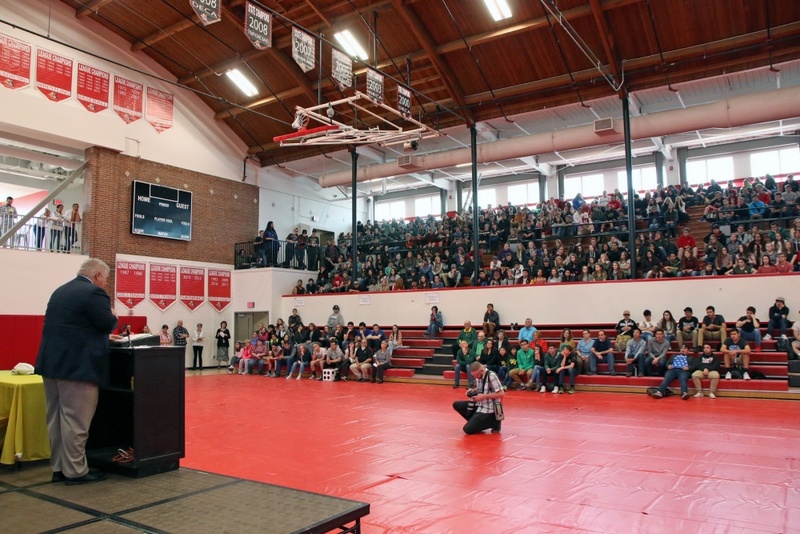 Cohen was published in the national Jewish magazine Ignite and wrote about her experience teaching the Holocaust, anti-Semitism and tolerance at Portland high schools. A classically trained competitive pianist, Cohen also volunteers at the Rose Schnitzer Manor retirement facility. She worked as a camp counselor at the YMCA, received the Oberlin Book Award for Commitment to the Arts and Community, and is a private tutor. Aysa Klocke of Sunset High School in Beaverton was the speech and debate district champion and a National Honor Society member. At 13, she sold recycled products to local businesses to divert nonbiodegradable juice pouches from landfills. Klocke led a community effort to make and deliver blankets to nearly 100 hospitalized children and began a program creating personalized birthday cards for the homeless. She is also an accomplished guitarist and has performed in several Portland-area venues. 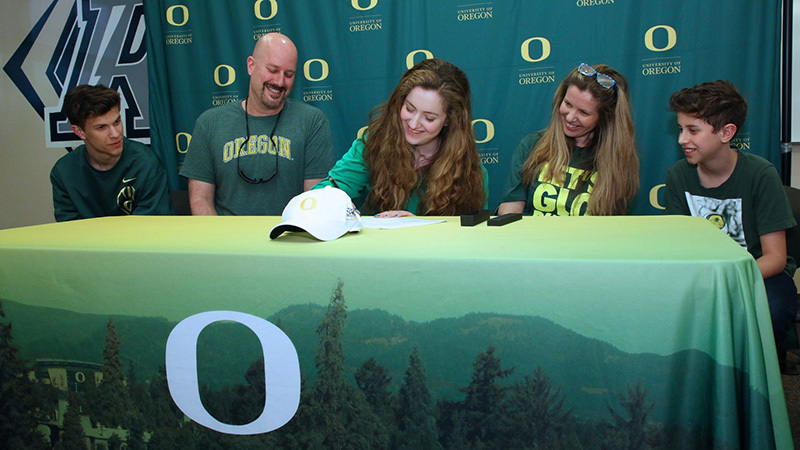 Zarina Rogers is a National Merit semifinalist from Summit High School in Bend whose signing day was April 3. She received multiple awards in regional art competitions and serves as a board member for the school’s art club. Rogers tutors younger students and peers in math, science and English and has volunteered her time to provide assistance to struggling families in Kazakhstan. She is the captain of her school’s Ultimate Frisbee team and plays on a competitive adult team. Hayden Dentinger, a student at Klamath Union High School, also celebrated his signing ceremony April 3. A student body event planner and fundraiser, he participates in multiple athletic programs and has earned awards in cross-country, basketball and track. He has a lifelong passion for music and plays six instruments. 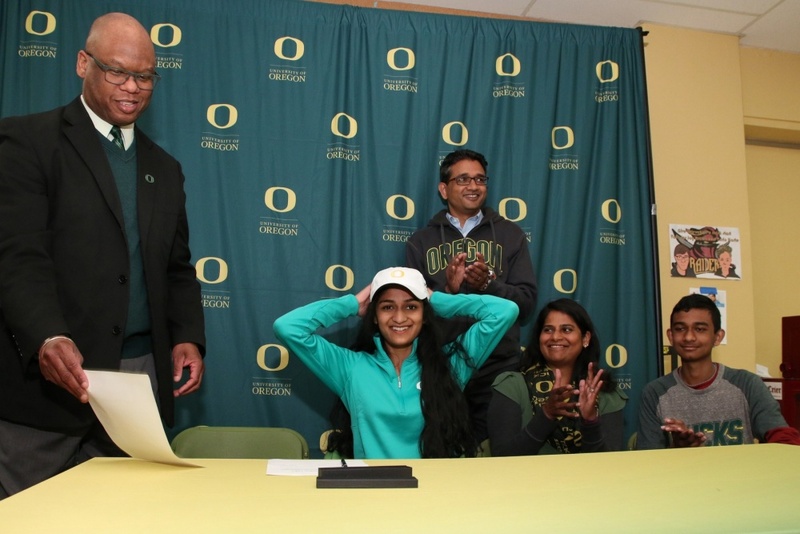 Nisha Sridhar, an Advanced Placement scholar with distinction at Crescent Valley High School in Corvallis, signed her acceptance of her Stamps Scholarship on April 12. 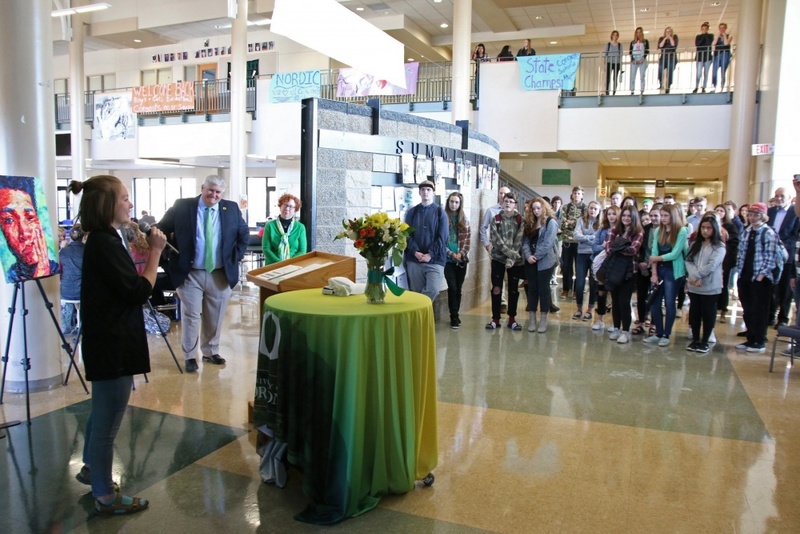 The founder a nonprofit that advocates on behalf of legislation to educate Oregon teenagers on organ donation, she is co-president of the Students for Environmental Awareness Club and the student lead for the school’s science tutoring center. Sridhar won two silver medals at the Science Olympiad state competition and was a member of the 2014 state championship team. She is a member of Citizens Climate Lobby and volunteers at Samaritan Hospital. The Stamps Scholarship, funded by the Stamps Family Charitable Foundation, is awarded on a competitive and merit basis. 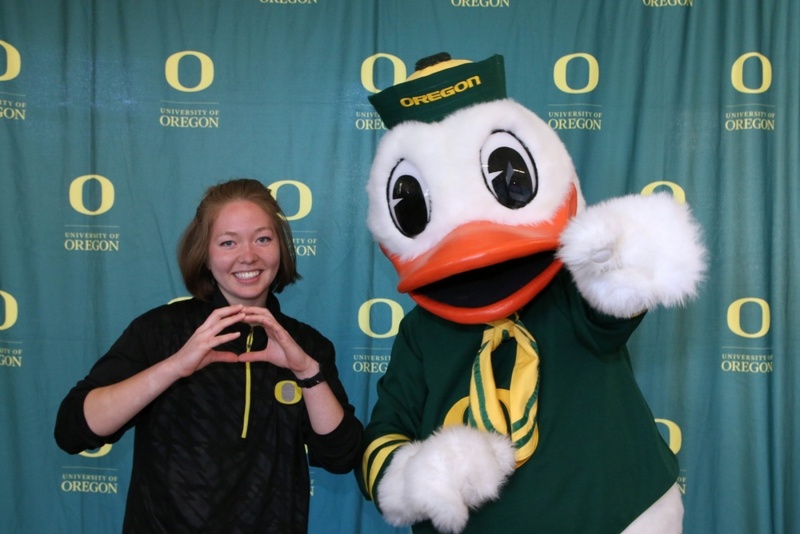 The five Oregon students entering UO this fall will join a total of 240 new scholarship recipients across the nation. The Stamps program began in 2006 and currently includes 35 schools across the country with 1,382 current and alumni Stamps Scholars. The scholarship covers tuition, room and board for four years of undergraduate study and provides up to $12,000 in enrichment funds to help students pursue study abroad, research and other experiences to broaden their education.